Dehradun: Prime Minister Narendra Modi arrived here on Saturday to inaugurate the Combined Commanders Conference, an official said. The Prime Minister earlier reached the Indian Military Academy (IMA) campus from the Jolly Grant airport in a special Indian Air Force (IAF) chopper. 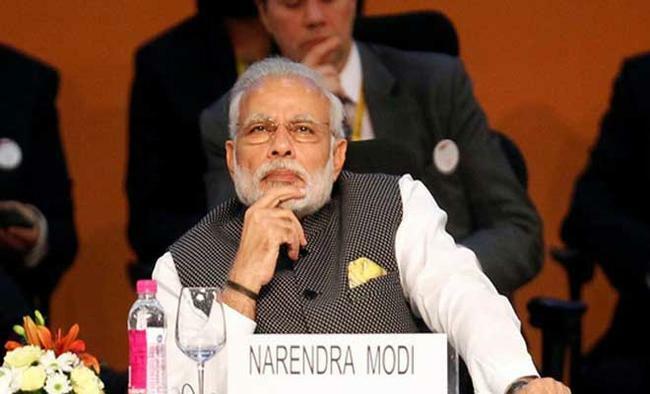 Modi would be in the hill state for over six hours, the official told IANS. The military conference was being attended by the Defence Minister Manohar Parrikar, the Indian Army, Indian Air Force and Indian Navy chiefs, besides the National Security Advisor and other experts in the field of security and defence. The Prime Minister laid a wreath at Shaheed Smarak (Martyrs Memorial) at IMA after which he crossed over the Chatwood Square where he was accorded the traditional salute by the three armed forces. He then drove to the Khetrapal Auditorium where he will address the conference. Before this he met the family members of the cadets at the Vikram Batra mess.